On Sunday night the Washington Wizards lost another horrible game to the Miami Heat. It was the Wizards 28th loss in 32 games and it ended with the Miami Heat scoring 21 straight points and the Wizards not getting a single basket in the final 7 minutes. Crushed, Trounced, or in a nice way Soundly Defeated. 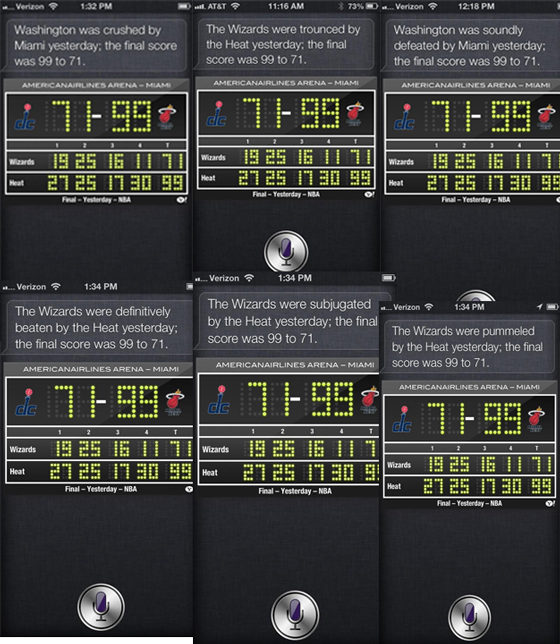 Any way you look at it, the Wizards lost last night.